Benefits of lemon water are known worldwide. With its bright yellow color, tangy taste and refreshing aroma, a slice of lemon or few drops of lime juice can be added to cuisines, cocktails, fruit juices and beverages. Lemon water is a way to enjoy the refreshing flavor and aroma of this citrus fruit. According to some research, lemons originated at the northwestern part of India. Before people discovered the lime water benefits, this was an ornamental plant. At present lemons are used both for culinary and medicinal purposes. On adding lemon to water, the health potential of water increases. Start your morning with a glass of lemon water to get the following health benefits. Lemon water contains pectin fiber; this is known to slow down the sugar and starch digestion process which in turn reduces the blood sugar levels. Pectin is also known to strengthen the friendly bacteria which are present in the gut, which ultimately enhances the immunity of the body. The lemon juice is also known to add a glow to the skin. Lemon water also helps to dissolve fat. For this reason, it is also a good detox for the body. It also balances the pH balance of the skin; making it an effective solution against acne, wrinkles, rashes and dark spots. It also cleanses the liver and helps to flush out toxins. As a clarifying moisturizer: Few drops of lime juice are added to coconut water. While coconut water hydrates the skin, lemon water brightens the same. As cleansing wipes: Mix lime juice with tea tree oil and distilled water. Use it as a toner for problematic skin. Cardiac issues are one of the primary causes of death in recent days. The potassium content in lemon water helps to balance the blood pressure. Thus people suffering from hypertension or heart-related diseases can get some relief by consuming lemon water regularly. This is because the rich mineral, Vitamin C and antioxidant content in lemon water are considered to be a good treatment against strokes and heart attacks. Lemon water is also rich in Vitamin B6. This transforms food into energy. For this reason, lemon water offers continuous energy to the body. Moreover, the fragrance of lemon is one of the lime water benefits. The stimulating aroma of lemon water may de-stress people and improve their mood. People suffering from obesity, high blood pressure or low levels of Vitamin C in the body are known to be more prone to heart attacks and strokes. Lemon water improves the metabolic rate of the body along with providing it with Vitamin C. This process, in turn, helps in weight reduction. For all these reasons, lemon water for weight loss is a popular home remedy. Anemia is generally caused due to deficiency of iron in the blood. While lemon juice itself contains some amount of iron, the citric acid and Vitamin C present in this fruit helps the body absorb iron from other food content. Lemon water is also a storehouse of calcium, magnesium, potassium and magnesium. For this reason, it assists in fighting the cold. Citric acid is the most found organic acid in lemon water. This acid is considered to prevent the formation of kidney stones. Citric acid increases the urine amount and thus reduces the chance of kidney stone formation. Hesperidin is an antioxidant present in lemon water. It is known to strengthen blood vessels and also protect the body against atherosclerosis. Diosmin antioxidant present in lemon water is normally used while manufacturing medicine. This antioxidant is known to bring improvement in the vascular muscle tone and may even decrease the inflammation of blood vessels. The essential oils present in lemon juice mainly contain D- Limonene. This oil generally offers relief from heartburns and stomach refluxes. It is a common habit to drink lemon and salt water during summers. Also, the isolated fiber and essential oils in lemon prevent the oxidization of LDL cholesterol. This, in turn, decreases the blood cholesterol levels and protects the heart. Lemon water also keeps the body hydrated. Both hesperidin and d-limonene may safeguard the body against different types of cancer (including breast cancer). Lemon water also contains bioflavonoids and natural preservatives. How To Have Lemon Water? Lemon water with honey is a very popular home remedy to treat a throat infection. While lemon assists in-thinning of the mucus, the peroxides present in the honey act as a disinfectant on the virus causing bacteria. Moreover, honey- lemon water emanates the bad breath which is produced after smoking. 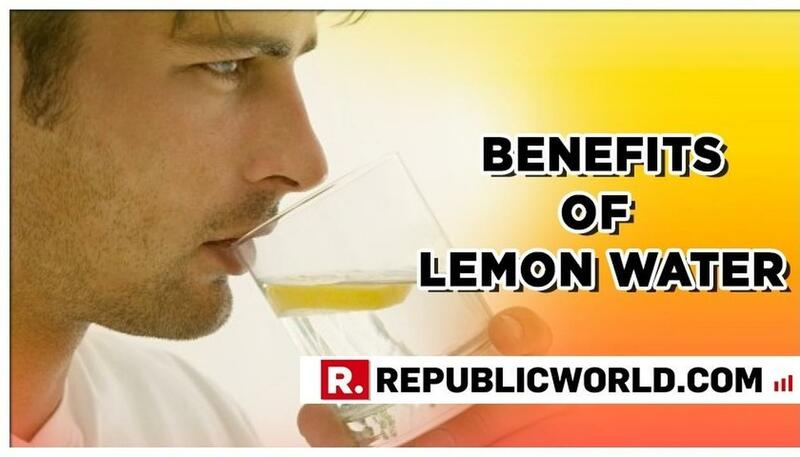 Warm lemon water improves bowel movement and helps in digestion. This drink can also relieve symptoms of bloating and burping. It is also known to reduce muscle and joint pain. Warm lemon water may also provide some relief from toothache and prevent gingivitis. Cold lemon water acts as a natural low- calorie drink. Cold water mixed with lemon and honey is a drink for any hour of the day. Best part; this can be made in batches and refrigerated. Sugar should not be added to the drink because it reduces the effectiveness of lemon water. So start taking this common citrus food seriously. Made with the simplest of ingredients, lemon and water, this Ayurvedic drink is both tasty and healthy. Note: Please consult your dietitian before proceeding. How bad is the air quality in your Home?